Quack! 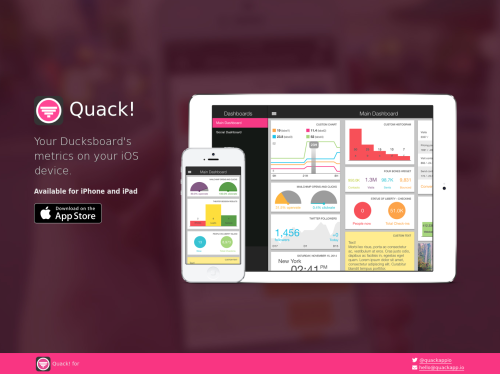 for Ducksboard makes your dashboards metrics available no matter where you are. Just log in with your Ducksboard account and get instant access to the metrics of your business.